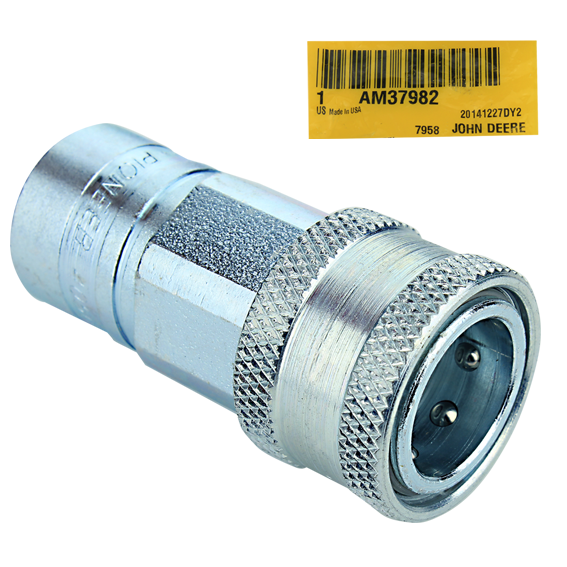 A genuine John Deere #AM37982 Female Hydraulic Quick Connect Coupler. NPTF with 1/4" (.250") thread. A genuine John Deere Original Equipment (OEM) part.